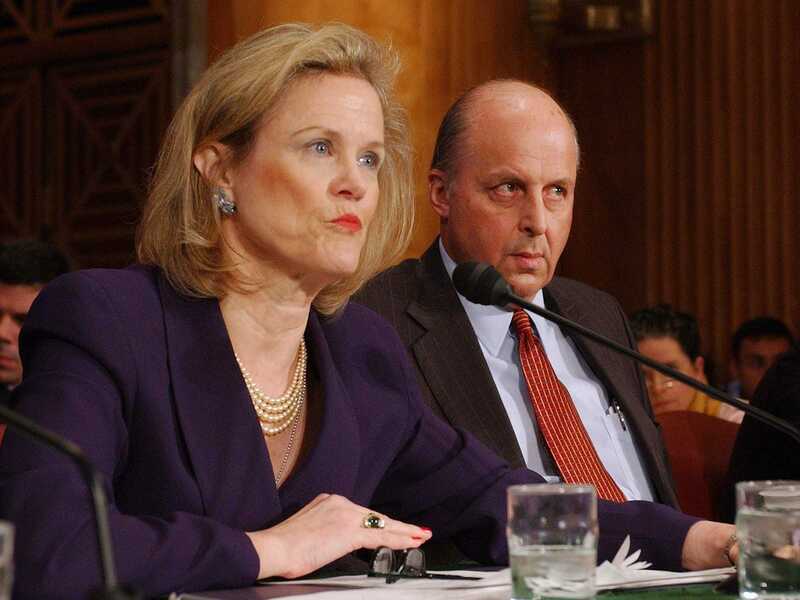 AP/Dennis CookIn this April 7, 2004, file photo, Robin Raphel, coordinator of the State Department’s Office of Iraq Reconstruction, discusses the UN’s Oil for Food Program on Capitol Hill. The FBI is investigating a longtime State Department diplomat, Robin Raphel, for allegedly taking home classified information, according to The Washington Post and other media outlets. Raphel, a former ambassador and a senior adviser on Pakistan issues for the State Department, is a foreign policy fixture in the US government. It is not immediately clear what Raphel is suspected of doing, but she has already had her security credentials revoked as authorities try to determine why she apparently brought classified information home and whether she intended to pass the information to a foreign government. Her home was reportedly raided by law enforcement officials on Friday. Raphel is indirectly connected to at least one other mysterious foreign policy incident. According to The Times, Raphel’s former husband and then-ambassador to Pakistan, Arnold Raphel, was killed in a 1988 plane crash with the president of Pakistan, Gen. Mohammad Zia ul-Haq. A spokesman for Raphel told the Associated Press last week that Raphel was cooperating with authorities but had not been told she was under investigation.